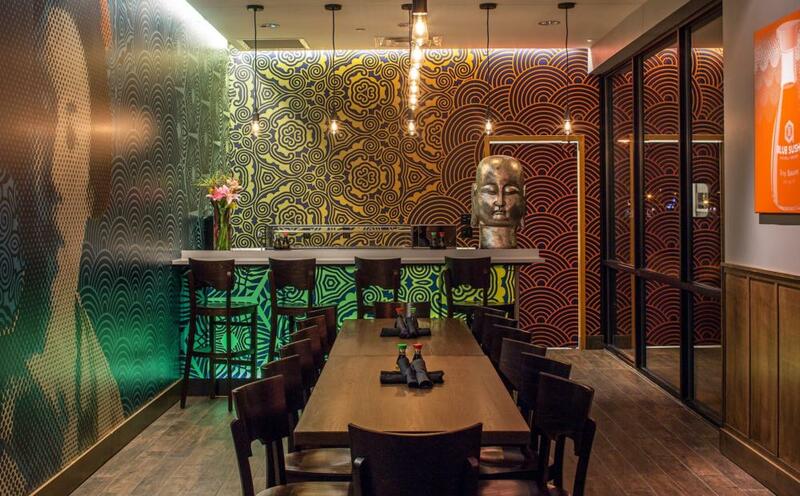 Our spacious Party Room seats up to 24 people, and is complete with your own private sushi bar. It's perfect for intimate family gatherings, baby showers, bridal showers, graduations, anniversaries or birthday celebrations. But really, who needs an excuse to throw a sushi party? 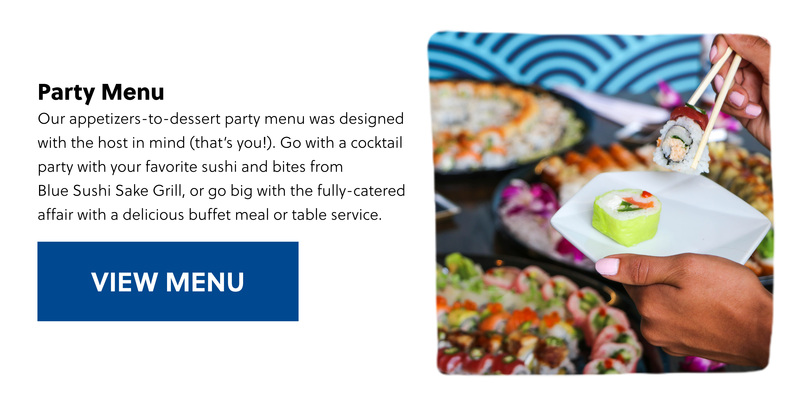 For availability and booking information, email Kari Horihan at <="" a="" target="_blank">kari.horihan@bluesushisakegrill.com.